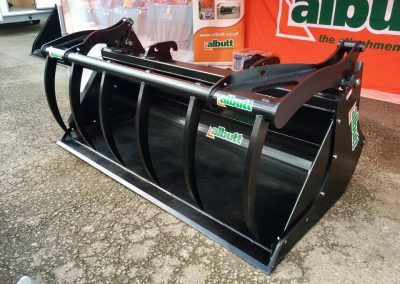 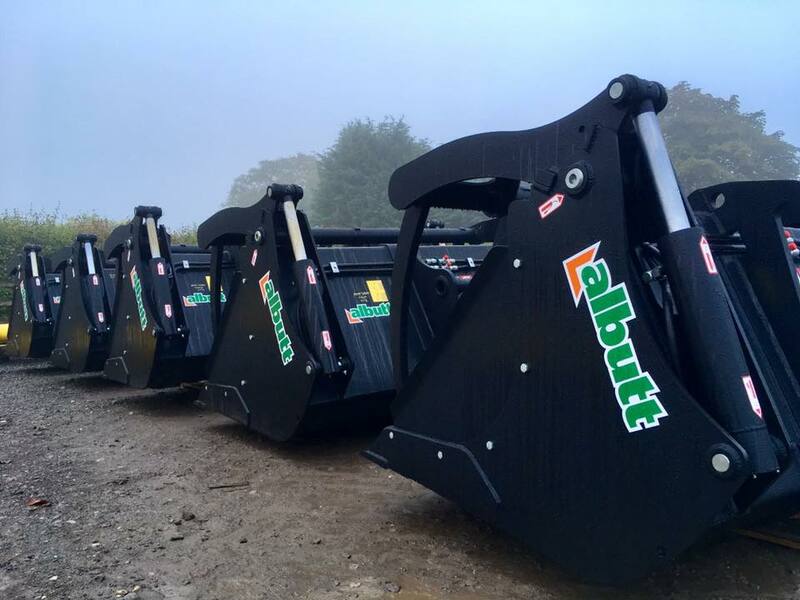 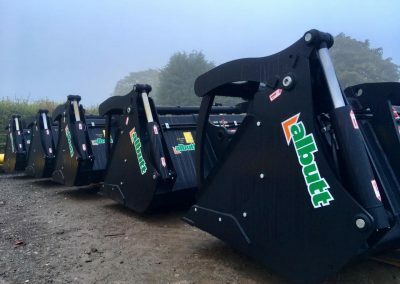 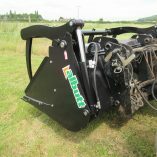 Albutt bucket grabs are a versatile attachment for material handling in agriculture. 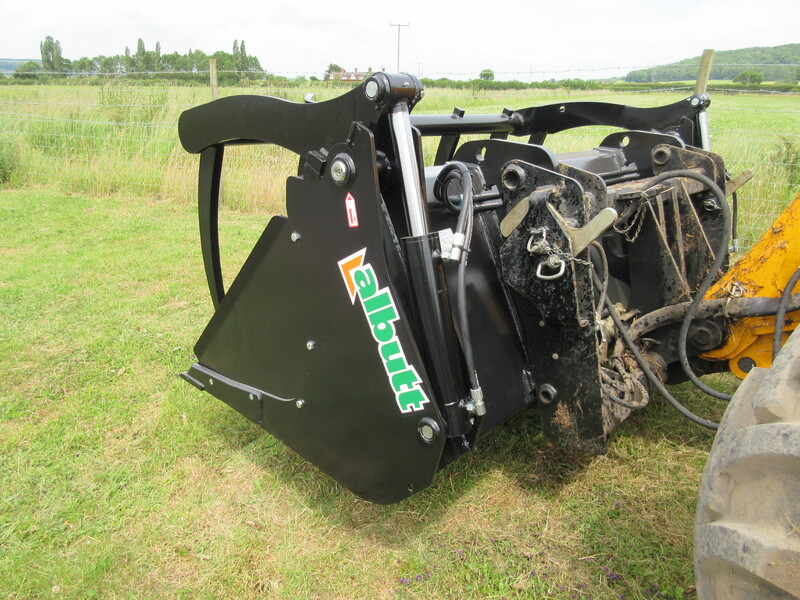 Offering the features of a bucket and fork grab in one attachment. 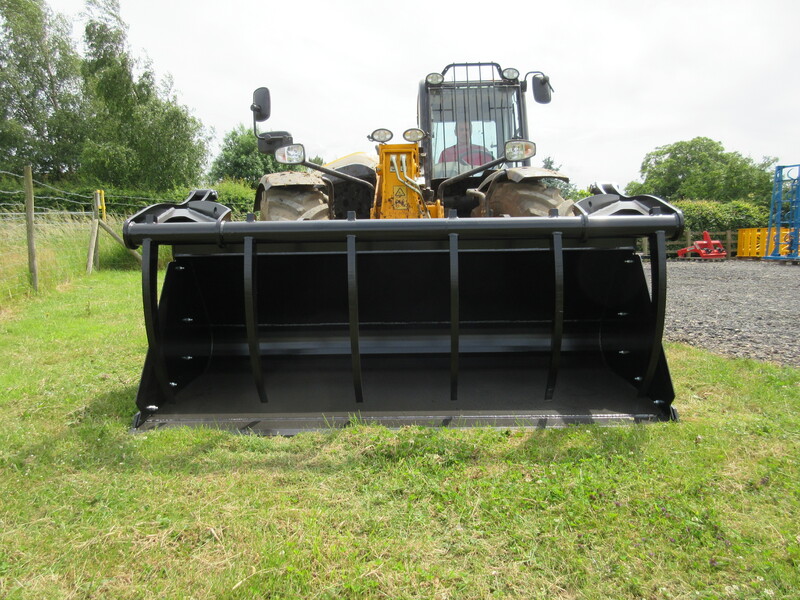 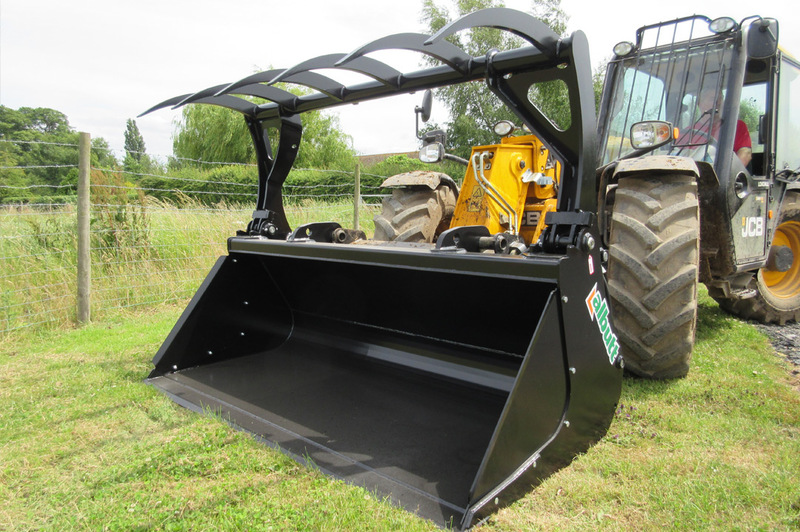 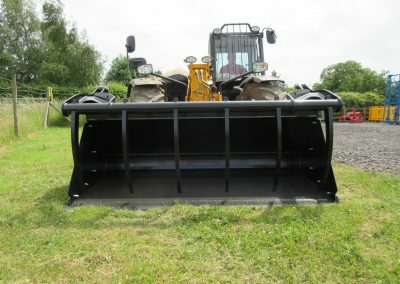 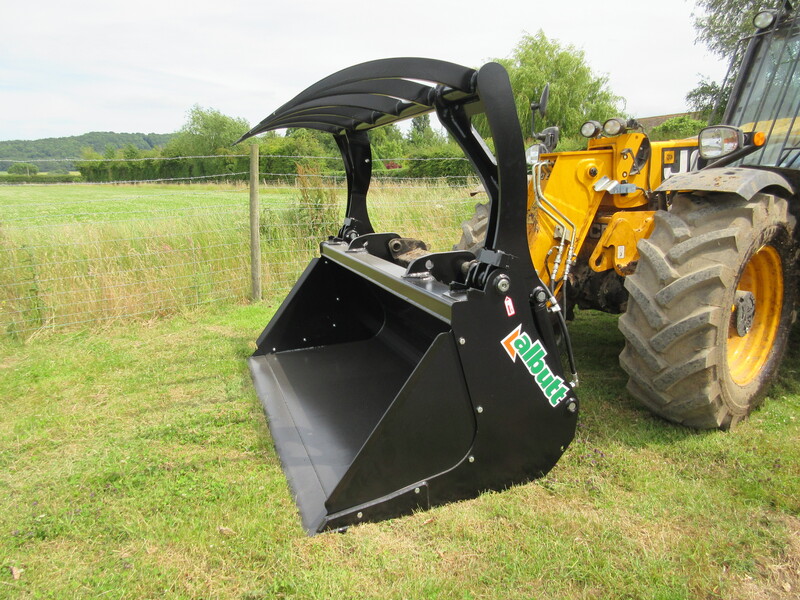 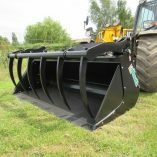 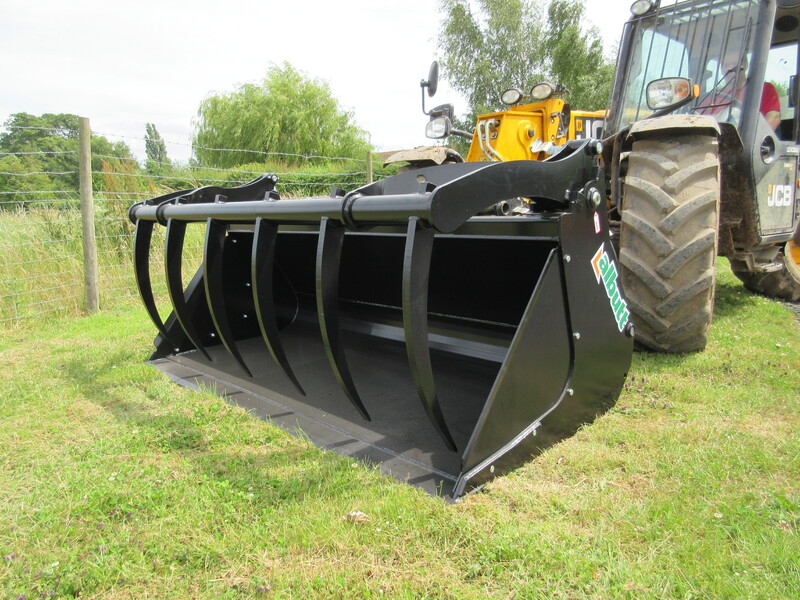 The bucket features bolted sides which can be removed for muck handling etc. 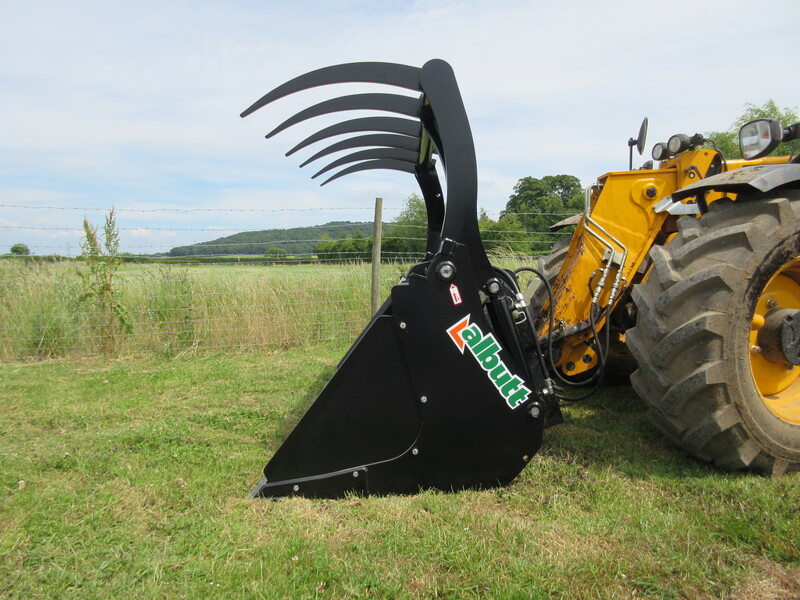 The wide opening grab features Hardox high tensile steel tines which are welded into a thick walled tube, providing high strength and long term reliability. 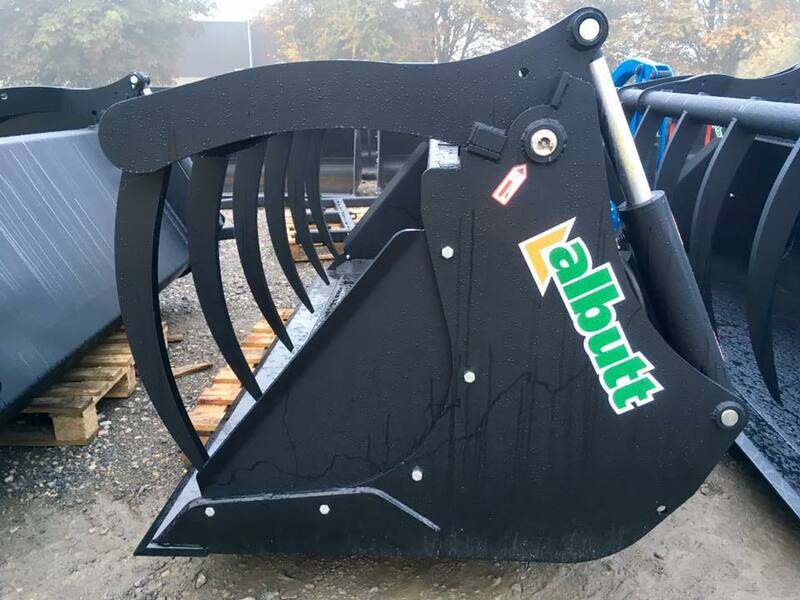 The bucket edge can touch a vertical face with the grab open, allowing corners in buildings to be cleared. 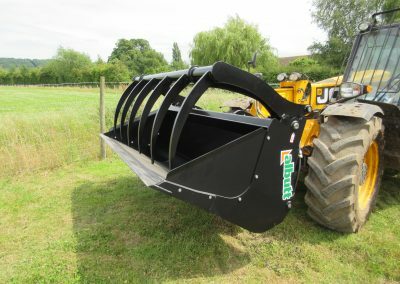 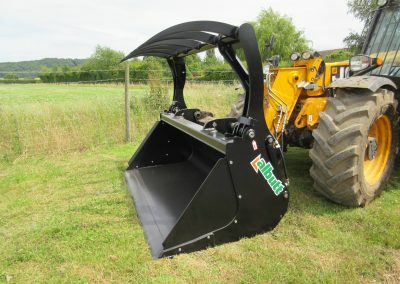 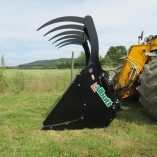 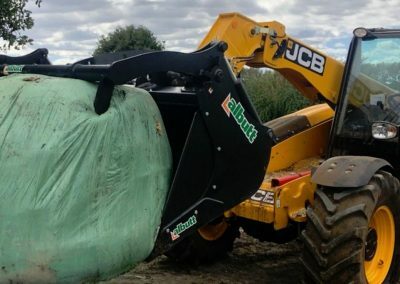 This new attachment is suitable for use with telehandlers and loaders.